Tax refund time is here. We have questions from folks as to whether they can file Chapter 7 bankruptcy before or after filing taxes and still keep their tax refunds. 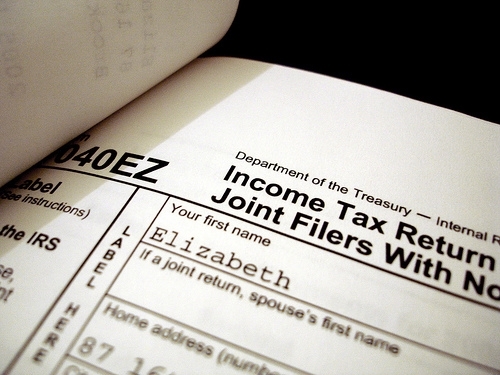 It is that time of year for tax refunds. We have questions from folks as to whether they can file Chapter 7 bankruptcy before filing taxes and still keep their tax refunds coming to them after they file bankruptcy or whether they can keep a tax refund received right before filing bankruptcy. It’s the time of year for tax refunds. We take questions from folks as to whether they can file Chapter 7 bankruptcy before filing taxes and still keep their tax refunds coming to them after they file bankruptcy or whether they can keep a tax refund received right before filing bankruptcy. The answer is they generally can keep their refunds, depending, of course, on how large the refund is. The general bankruptcy exemptions available under the federal bankruptcy exemptions (which we can use in Kentucky) are usually large enough to protect most tax refunds from being lost to the trustee. You can also use your tax refund to pay the fees and costs for the bankruptcy. Will I get to keep my tax refund if I file bankruptcy ? It’s that time of year for tax refunds. We have questions from folks as to whether they can file Chapter 7 bankruptcy before filing taxes and still keep their tax refunds coming to them after they file bankruptcy or whether they can keep a tax refund received right before filing bankruptcy.